Nutella Swirl Brownies are a fast and easy brownie recipe made with a boxed brownie mix and a swirl of nutella. 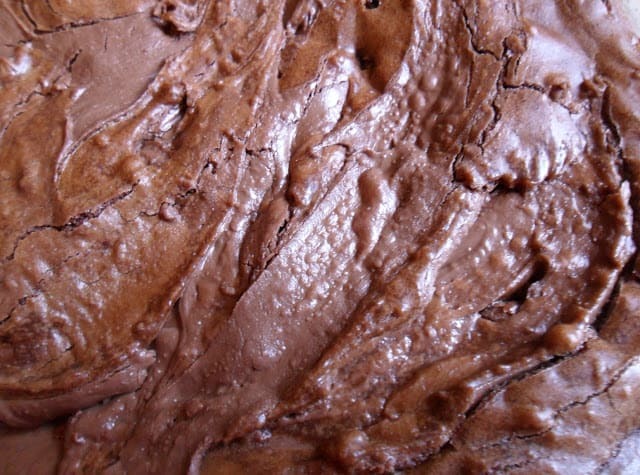 The boxed brownie mix we used for this recipe is Ghirardelli Double Chocolate Brownie Mix. In fact, Ghirardelli is our preferred box brownie mix. We love Ghirardelli brownie mix and a box of Ghirardelli makes a 9 x 9-inch baking pan which is perfect for smaller size families or when you have a craving for brownies. I’m basically taking this summer off, (2018) and I’ve been going through all of my blog posts, updating them and the like. When I came to this recipe, I had to laugh. Not because this recipe isn’t any good but the photos! Wow, they are horrible:) The photos don’t do these fantastic brownies any justice, so I guess I’ll have to make another batch and re-take some pictures…c’mon, twist my arm!! Have a sweet tooth? Well you have come to the right place. Here at Turnips 2 Tangerines we have a huge sweet tooth so we couldn’t possibly list all of our favorites so we’ll just give you a taste. Cinnamon Chip No Fail Blondies, and Seven Layer Bars. In my family we call them ‘seven layer bars’ but in many families they go by another name, ‘Hello Dollies’ right Theresa! Nutella Swirl Brownies are super delicious!! Prepare 11 x 7 inch baking dish by lightly greasing or spraying with non-stick cooking spray. Place water, oil, and egg in a medium bowl, whisk together using a fork. Add brownie mix and stir until blended. Stir in 1/4 cup chopped pecans. Spread in prepared pan. Using an electric mixer, cream together nutella and peanut butter. 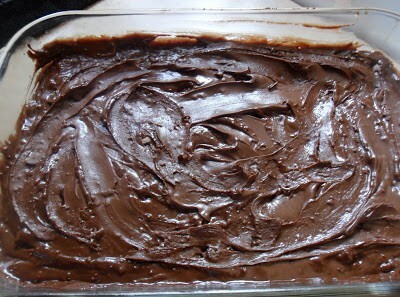 Drop tablespoons of the nutella mixture over top of brownie batter. Run knife through nutella in a swirling motion to make a marbling effect. Want to put a big smile on everyone’s face? Then whip up a batch of this super delicious Blueberry Spice Coffee Cake and put on a pot of coffee.